So here I am back in Sarasota. To be honest I am horribly jet-lagged and have not had enough sleep. Last night was especially bad. 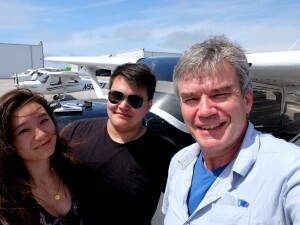 But I am back at my flying school – Cirrus Aviation – for 10 days and will try and fly every day I am here. There is no ultimate objective on this trip; no exams to sit; no checkride to pass. I want some more time on the 162; as a refresher and some more solo time; I want to work on my crosswind approaches and landings. 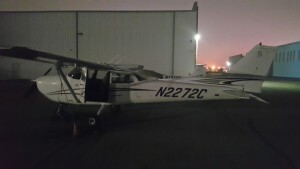 I want to get checked-out to fly solo on the 172. And I want to start my instrument rating and see where I get to on this trip. That means some homework – some studying. 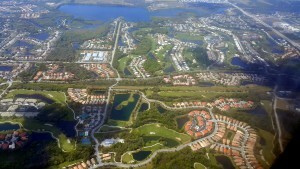 Sarasota is expensive in snowbird season. I am staying at the Super8. It is, to be honest, a bit dodgy. Like a rather questionable short-term motel. But it is 5 minutes from the airfield. The sun was shining but it was a windy first day – with winds gusting to 30 knots. Any wind is interesting in a Skycatcher. Luca Santiago is my instructor – I like Luca – one of the good guys; we will get along fine. 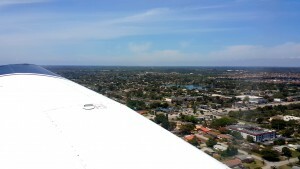 We started out to the Eastern Practice Area – a few maneuvers and just a reminder to myself of how to fly the airplane. 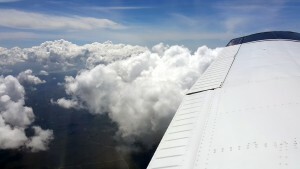 So I started with some slow flight – that is fun into a headwind – holding at 42 knots with the stall warning buzzing and a ground speed of just 25 knots. I was feeling pleased with myself until Luca showed e a picture where he had the groundspeed down to 7 knots! Then some steep turns – not bad. And an emergency approach when Luca decided to pull the power. I was not expecting that. It is like someone telling you what they really think of you on a first date. Too much too soon! But glided at 70 knots and found my landing site. We would have been OK – just stranded in a field! Then some ‘S’ turns – always interesting in a good wind. And up to Albert Whitted – still the prettiest place you can fly into. 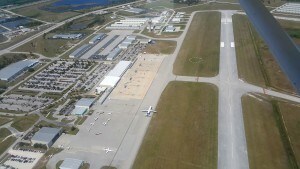 Runway 7/25 was closed due to a Nascar motor racing weekend which takes over the runway and terminal area. 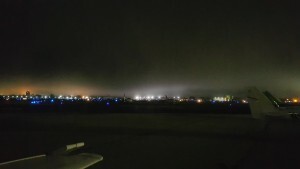 There is a temporary FBO on taxiway bravo. Into the wind landing on Runway 18. Not too bad. Here we are parked for fuel! Refuel. Back to Sarasota for two touch and goes and a full stop third landing. There is always something different at Sarasota – this time it was three left hand 360s for spacing. 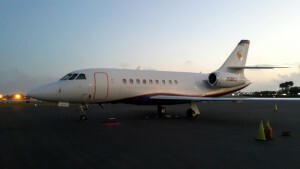 The airfield is busier now than in the summer so they have to fit the Skycatcher between the regional and corporate jet business. And into a strong headwind as well down runway 14 – had to keep the power on – especially when I wanted to land long behind the MD80 to avoid wake turbulence. Second landing was not the best – too far left of centre! Third was much better. Great to be back. My flying was decent. Not great but best of all not phased by the winds and bumps. New headphones – Lightspeed Sierra’s worked well. Comfortable. 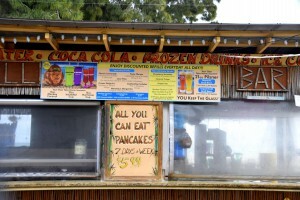 And after lunch this piece of history left Sarasota. Not something you see or hear every day. A B29 bomber. 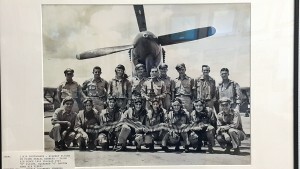 “Fifi” is the only surviving airworthy Superfortress – operated by the Commemorative Air Force – their website is here. Strange day. But if I look back and try to be objective I managed a potential problem decently. 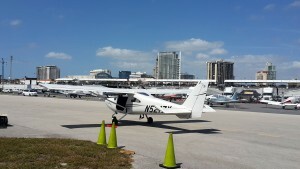 I was flying solo in the morning – planning on being back in Sarasota for a lunchtime ride in the 172 with Luca. 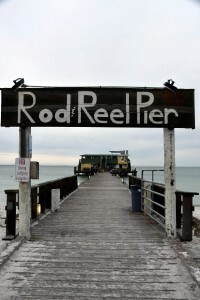 So I thought that I would head off to Wachuala and do a few touch and goes and then head back to SRQ. It was windy – blowing from the South/South East – and by the time I was at Wachuala the instruments were showing a wind of 15 or 16 knots from 150 or 160 degrees. On runway 18 that is a crosswind of about 5 knots – maybe less as there are trees around the small airport. 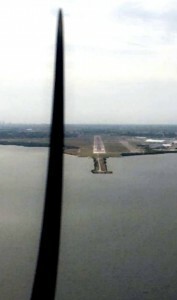 The runway is short and narrow – and a bit of a illusion if you have been flying at SRQ and/or have not flown for a while. The first approach was too high – and I simply flew a go around. Coming back in felt fine. Nice stable approach. I touched down – started to roll out and suddenly the plane started to veer hard left and there is there was noise and vibration. I knew I had lost the left tyre. Kicked in the right rudder. Straightened the airplane. Got off the runway and parked immediately. The tyre was intact; with no damage. Hard to tell what had happened. Maybe a valve. 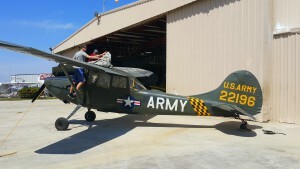 There is a small hangar at the airport and some helpful people working in it. They brought out some air; which allowed us to push the airplane onto the apron. 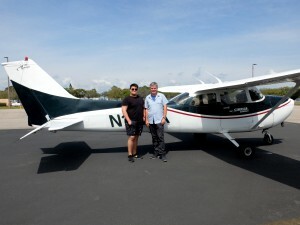 Ken, one of the guys, had taken his first solo flight in N5217X; small world. I phoned up Cirrus. And about 90 minutes later Luca and Nick (one of the maintenance team) arrived in N171RA with a spare wheel – actually taken from N3032R. They were great – replacing the tyre was just a matter of minutes. Easy. So after waiting for some ducks to clear the Wachuala runway (honestly!) I set off back to Sarasota. Windy and bumpy flight. Flew the approach fine to Runway 14 but with a strong headwind I had to keep a lot of power in. And it was gusting; trying to lift me as I flared for landing. Not a great landing. So by the time I was back at Sarasota it was too late for my afternoon flying and I actually did some studying for the rest of the day. Finally a few pictures from the Dolphin ramp. 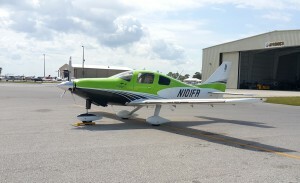 Including the newly painted Cirrus owned Seneca. 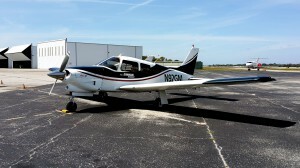 So there you have it – a day with my first flying incident. I dealt with it decently but you do keep thinking “did I miss anything?” At least 90 minutes at Wachuala gave me time to clean up the windscreen on 17X. 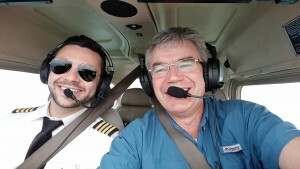 Out at lunchtime with Luca in one of the Garmin equipped 172s today – N52606. She is looking a little battered now. I am glad we flew today – the 172 takes a bit of getting used to. 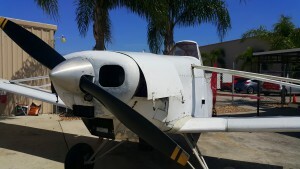 She is a much heavier airplane – and therefore much more stable. 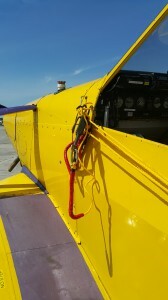 We went to the practice area; flew some slow flight; a power-off stall. Then s turns and turns around a point. Not bad on a windy day. Back to Sarasota for two touch and goes and then a full stop. The last landing was by far the best of the three. Just remember to keep the speed up. 65 knots is a good landing speed. My great plan for a fun trip out to Kissimmee was spoiled by the weather. 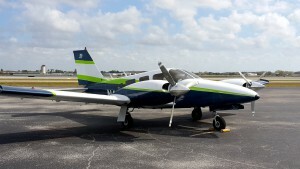 An Emirates pilot friend had flown into Orlando yesterday and my plan was to take the 162 Skycatcher out to Kissimmee, meet up there, and go flying to Gilbert Field and Apopka. 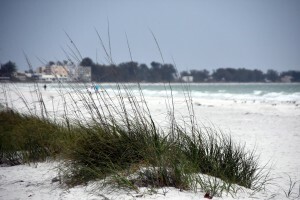 But central Florida was marginal vfr with low ceilings and Sarasota had high winds in the early afternoon that were 19 gusting to 30 knots from 180 degrees. The trouble with that is that meant the crosswinds were up to 20 knots on every runway. So no flying today. A change of hotel instead. And a wander around downtown Sarasota. It is so much busier here than in the summer months. I like the coffe shop on Main Street. Two flights today to make up for yesterday. 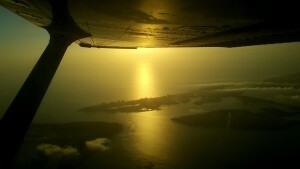 3,500 feet to Punta Gorda – VFR and very still air. And a straight in to Runway 22. Taxi via Alpha and Charlie to the ramp – hold short runway 15. 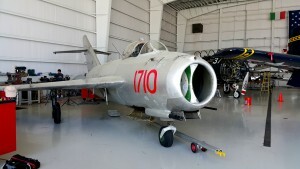 There is a Mig-17 being restored in one of the PGD hangars. Don’t see that everyday! Bought off E-bay apparently. Refueled. Headed back to SRQ. Asked Tampa for 22 at Sarasota. They initially wanted to send me to 14; but with the wind increasing from 230 runway 22 was the sensible choice so I eventually was sent there! Nice flight. Decent weather. Good ATC. A bit of a confidence restorer. And a few pictures from the flight. 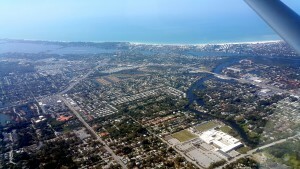 Back into Sarasota – malls and golf! 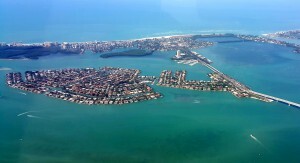 Then in the evening Luca and I were back up in N52606 for a evening and night flight down to Fort Myers. The flight down went well. Lovely sunset. My approach was on the mark and stable; my landing – not really good enough. Not that bad. Just can do better. 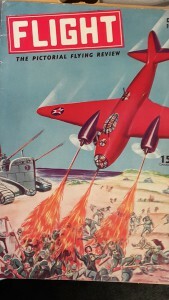 The 172 is heavier; it needs a little more effort in the flare. 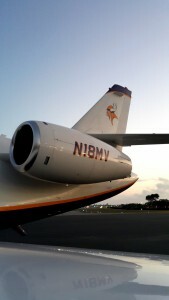 Luca was very excited by the Minnesota Vikings owned Hawker that was parked on the Base Operations ramp. Headed back out on 23 in the dark. In this more complicated airplane I am fumbling a bit for the instruments in the dark cockpit. Which lights was I switching on and off? And then for unknown reasons I was unable to transmit as we approached Sarasota – so I had to ask Luca to make the radio calls for me. We turned into runway 14. I was too high and too fast. I was meant to be landing long to avoid wake turbulence from the American Express Embraer in front of me. I decided to go around. Which was good as the Embraer did not clear the runway and ATC asked me to go around anyway. Win! We turned on a left downwind to Runway 22; which I find hard to see in the dark. We were a bit high. Raise the nose to bleed off some speed and height. And then it was a nice stable landing. Better. And a few more pictures! A morning off. Then – holy mother of everything…..that was quite an evening. Instrument flying. Love it. But it is tough. 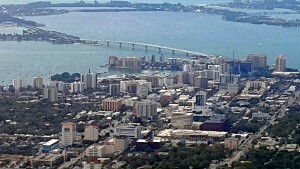 Sarasota was under a sea fret. From the ground to about 1,000 feet. So we filed an IFR flight plan. And left for Bartow at about 5.15pm. Off from runway 14. With caution as the tower could not see taxiway alpha or runway 14. By 1,000 feet we were clear of the fog. But with an IFR flightplan we were under ATC control until we had Bartow in sight. 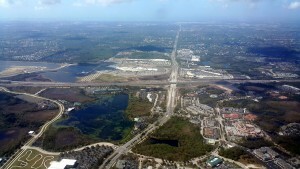 Flew a nice approach to 27 right at Bartow. The tower closes there at 5.30 pm so the airfield reverts from Class Delta to Class Golf. The folks at the FBO were nice enough to let us have a quick look at their museum. 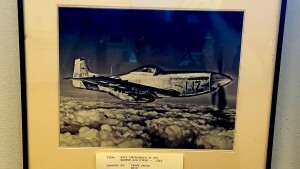 Bartow is another WW2 airfield where P42 Mustangs were based for fighter pilot training. 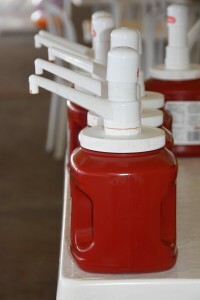 The museum is lovingly kept as a tribute to the folks that trained there. On the ramp a very pretty King Air. Then on our way to Lakeland – no more than ten miles. Straight into a setting sun for a touch and go on runway 27. The sun was difficult. Even seeing the runway was hard. 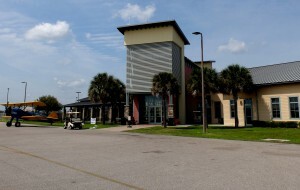 ATC at Lakeland was very helpful. Nice touch and go. Decent landing. Stabilised the plane and then off again. And south to SRQ. 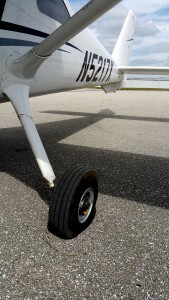 We asked for a “pop-up” ILS into Sarasota and were told to expect runway 14. Do as you are told – follow ATC – keep on heading and altitude as instructed until you are established on the localiser. Then follow the localiser. Which is OK – until you are at the minimum height of 223 feet and still do not have any sight of the runway. Then it is go around time and fly the missed approach procedure. So back around for another go. This time Luca flew the final approach, I looked out for the runway, and once again we had to fly a missed approach. But we had lots of fuel to play with. So we then tried the GPS approach to runway 22. This is a non-precision approach with a minimum of 400 feet. And this time the fog had blown clear. Runway 22 is that bit further from the Gulf Waters so there was more chance of clear patches. And we were down. ATC congratulated us on a great job getting back – I assured them that it was nothing to do with me! As Luca said flights to minimums are something that you do in phase 7 of the instrument course – not on your first day. Trust your instruments. Fly on instruments. Fly as instructed by ATC without deviation. Focus. Scan the instruments. And be ready to make the missed approach call. But why do people fly solo on instruments? That has to be tough. There is so much to do and so much to focus on. The extra pair of eyes looking inside and outside the cockpit are invaluable. Here we are back at SRQ. Very pleased to be back but it was a great experience. I was never worried. Luca is a sound and careful pilot and instructor. If we could not get down we would have diverted and waited out the fog. 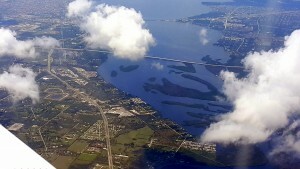 Off to pick up Alex and Rena today from North Perry/Hollywood — over near Miami. 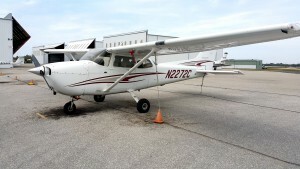 I did the weight and balance on the 172 today and there was no way that we could legally bring the airplane back from North Perry to Sarasota. So the Arrow was the solution — but it is classified as a complex, high-performance airplane. 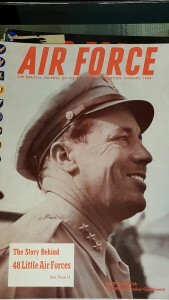 I had chose to take the Chief Pilot with me; treating the flight to KHWO as a lesson. It was still a bit foggy in the morning We filed an IFR flight plan. There are far more details than for a vfr take-off. And your readback has to be 100%. We followed the waypoints to North Perry and an RNAV approach to 28R before circling for a 1R departure. 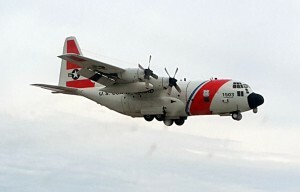 The Arrow is old; she has round gauges and low wings. She does feel like a real airplane. In cruise she is very stable. So we flew at 7,000feet; still air and cooler. North Perry. This is a fun little airfield; the banner towing capital of the USA. I took the afternoon off. Alex went out to fly with Dave in the Seneca – with Rena as passenger. We should probably have known that the weather would not co-operate as we had seen the mist/sea fret bank just lying off Venice when we came back from North Perry. But weather was not their only problem. 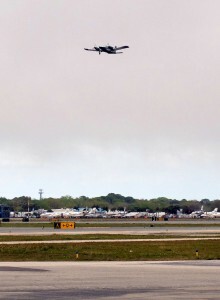 As they left on runway 32 the undercarriage would not retract. So Alex and Dave asked Tampa for a return to Sarasota’s runway 32 and the RNAV approach as the field had quickly changed from vfr to ifr. But the fog was already low lying and the RNAV minimums are higher than for the ILS. So after five attempts – three on runway 32 and 2 on runway 22 they gave up on Sarasota and diverted to St Petersburg; flying there with the undercarriage down. 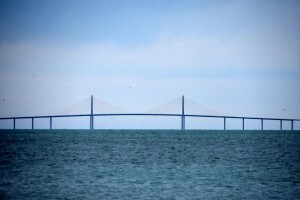 It was clear that they would not be able to fly down to Sarasota so they hired a car and drove back – the long way as the Sunshine Skyway bridge was closed due to the weather. But Alex and Rena did get back for a late dinner and it was fun to share bad weather stories! 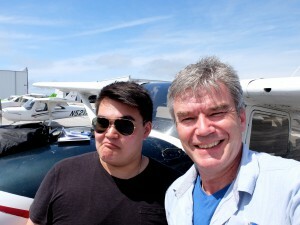 So this was a big day – the first time that Alex and I had ever flown together. 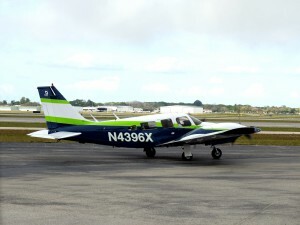 With the weather likely to turn ifr later in the day we agreed that rather than fly Alex and Rena back to North Perry they would instead take the Florida Express/shuttle bus. So we had to find a plane to fly in the morning after the morning mist lifted. N171RA was all we could take – an old steam/round gauge 172. 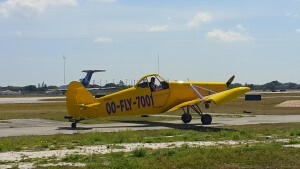 My first outing in an old (non Garmin) 172. So we decided to fly up to Winter Haven. KGIF. It was here that Alex did his PPL flightcheck with Jack Brown some 20 months ago. I flew the leg to KGIF with Alex in the right seat and then I moved to the rear seat for the flight back so that Alex could fly with Rena alongside him. It was great fun. We worked well together. We checked eachother’s flying, course and radio comms. Good CRM. And KGIF is a pretty place to fly into. Sadly just time to visit the FBO but no time for lunch there. Alex will of course tell everyone that I aborted my first approach and flew a go around. Good pilots like go-arounds. I was too high and a bit too fast. It was my first round-gauge landing – different instruments to look at. Good call I thought! I hope that we can do it again soon! 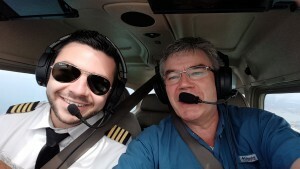 Luca and I were back flying today though we only had N2272C for a couple of hours. So I decided that we should go to St Petersburg. 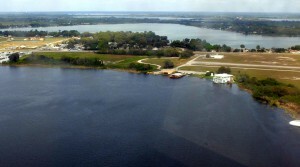 A class delta airfield under Tampa’s class b airspace. St Petersburg gets a good volume of commercial traffic as well as coastguard and corporate so it is busy. 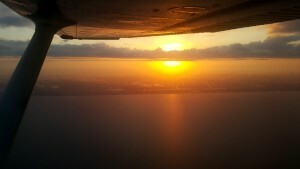 We left Sarasota vfr but then asked Tampa for the Runway 18 ils approach. and I did a reasonable job of flying it. The wake turbulence at the end of 18 was a surprise. We both had expected that it would have cleared. Made for a bit of a floater as we were pushed up off the runway. We taxied back to the end of 18. Got our clearance and turned out on 220 for Sarasota. As we neared the top of the climb Luca got a message about a crash at Peter O Knight airfield just the other side of Old Tampa Bay. Do you want to see a picture he asks – after we land I replied. 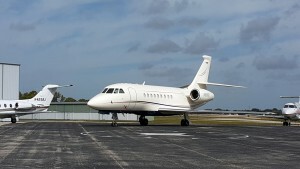 We asked Tampa for the Runway 14 ils at Sarasota. I flew this a little better than the KPIE approach. It was made more interesting by some early vectors for spacing. ATC are so accommodating to any request. Tampa approach/departure are great. Always busy but always trying to help. Nice landing – and that was my flying done for the day. 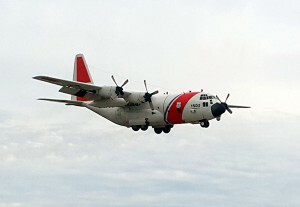 Holding short of 14 for the coastguard. Luca looks far too cheerful! 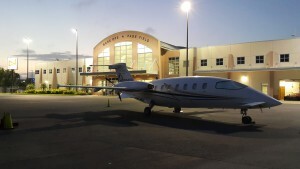 Two people died Friday when a small plane crashed on a runway at Peter O. Knight Airport on Davis Islands. 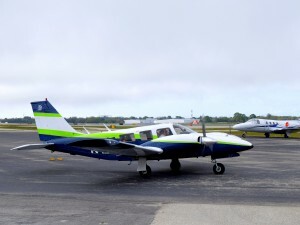 Rescue crews on scene said the twin-engine Cessna 340 crashed during takeoff. 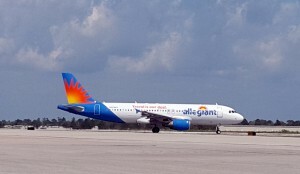 A spokesman for Tampa International Airport said the plane was headed to Pensacola. 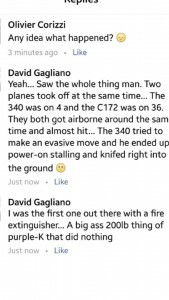 Another plane appears to have been involved as confirmed in this message from the crash site on facebook. 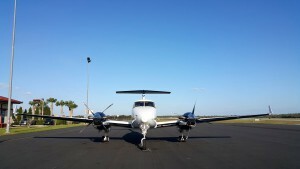 Valued for its proximity to downtown Tampa, Peter O. Knight Airport has served general aviation pilots for decades. There is no control tower, so pilots who use it communicate with each over a common traffic advisory frequency. Smoke from the crash, which happened about 11:30 a.m., could be seen from downtown skyscrapers. 04 and 36 are basically both north facing runways. I suspect both pilots thought they were on the active runway. It is also likely that the runway ends are invisible to eachother due to airport buildings. Un-towered airports are hazardous. You have to declare you intention and action – and do so clearly and on a timely basis. When an airplane accident happens close to home, geographically or with an airline or airplane that you know, it hurts more. The Peter O Knight crash was a concern; it shows how easy it is for general aviation to go wrong. But late on Saturday night news came through of the fatal crash of a flyDuabi 737-800 landing at Rostov-on-Don in Southern Russia. The US networks do everything except news but twitter was a useful source of updates until about 3am. So with that still on my mind in the morning I was quit relieved by the IFR conditions; thunderstorms and heavy rain. It meant that there was no way I could fly today. And that was OK. I had a fun flight yesterday and like most things in life it is always good to end on a high note. 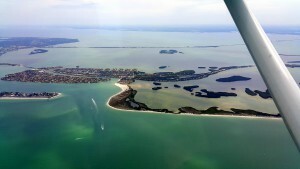 So with the weather miserable I dropped into Cirrus to say a few farewells and then went for a drive through St Anand’s Circle, along Longboat Key to Anna Maria Island and back through Bradenton. 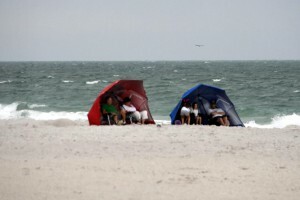 The weather meant that the beaches were empty other than a few very stoic souls and for a weekend the roads were quiet. Pleasant enough drive. Then on Sunday 20th it was time for the long haul back to Dubai. This has been a good week. I am current. 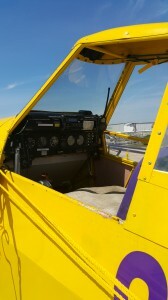 I am comfortable in the 172 and with the Garmin 1000 glass cockpit. I have flown 2 round gauges. I have flown a complex and a high performance plane (the Arrow). And I have been to a number of new airfields. Best of all I leave a better pilot that when I arrived.